Is it possible Paradise in the "electronic concentration camp"
China has printed school textbooks for the course "Fundamentals of artificial intelligence". 2,300 people in a huge hall, decorated with red draperies and woven with gold in the center with a hammer and sickle, three and a half hours intently listening to the report, which set out the development strategy of China for the next decade. Sounded unusual for its novelty words – artificial intelligence (AI), big data, Internet. They told the delegates of the XIX Congress of the Communist party of China the President of China, XI Jinping, needs to provide a Grand new leap in the future of the country and bring its economy to a qualitatively different, beyond the reach of many other States, height. Remarkably, the head of state and leader of the Chinese Communists told the gathering about the plans, which have already been supplied a serious industrial and technological basis. To 18 October 2017, when he heard this speech, China has developed a "Strategy of China to achieve leadership in the field of artificial intelligence by 2030". Already with full dedication and high fees have worked numerous expert and research groups, authorities in several provinces financed based on AI startups. And most importantly – by this time formed and worked actively to industrial alliances, is rapidly acquiring practical experience in the implementation of the latest technology in the everyday life of China. Company Alibaba, which many consider nothing more than a giant online store already led the development of "Urban brain" for a new special economic zone under construction in 100 km from Beijing. Ant Financial has successfully introduced the commercial version of "social credit", law enforcement databases were merged with the banking and transport for detection of the "seven categories of persons, threatening stability and public security". Not to mention the street cameras regularly coming in nursing information programs face recognition, "vitalitate" – the introduction of cashless payments by phone using WeChat – the whole country and based on the use of drones delivery system of packages to remote parts of China. Again – the words XI Jinping made at the XIX Congress of the Communist party, was not just plans and intentions, and concentrated for a breakthrough in the field of AI financial, industrial and technological capabilities of China, coupled with the experience of practical implementation of individual elements of intelligent systems. That's why declared them "Strategy to achieve leadership" in this area was simply doomed to success, providing a great breakthrough of China to governance version 2.0 – the new reality of the XXI century. In a sense, "plan of the Chinese government for AI was the famous speech of President John F. Kennedy calling for America to land a man on the moon," writes the Chinese venture guru Kai-Fu Lee in the new book "Superpower AI". But the venerable public knows that where Communist ideology and authoritarianism, the lack of a multiparty system and the persecution of dissidents – there just can't be something progressive, right? But because the main horror story about the Chinese version of the state management and development on the basis of the AI immediately became the version of that all-seeing eye of "Big Brother" becomes reality. And the image of the future offered by Beijing to the rest of the world is an electronic concentration camp, where every step is monitored and regulated by the supercomputer. Fear and mistrust of this version of public administration 2.0 completely clear and understandable. In China now there is a centralization of all of these disparate pieces of information in "one window". And this is not to scare its novelty and magnitude. And even more so when based on all the information that you leave in the virtual space, you also assign a "rating" – everything starts to look even more intimidating and mysterious. Good or bad – frankly answer that I do not know. In China, the attitude to these moral and ethical agony even easier. Facilitates and greatly simplifies life, increases safety in the home and helps to convict criminals, fraudsters and wonderful, and let him develop. Moreover, the control over the process, the last word still rests with the authorities. That trust approximately 84% of the population. This is the number of China's population, apparently, already made your choice between the hypothesis of a possible "digital dictatorship" and the very real life-the conveniences of the input system and the most notorious "social ratings". In this sense, very indicative of the recent history of an AI system designed to monitor the quality and condition of income of Chinese officials, called "zero trust," Zero Trust or, simply, ZT. Created by scientists of the Chinese Academy of Sciences jointly with the internal control service of the Communist party of China, the system was intended to monitor the activities of officials and had access to more than 150 protected personal and other databases at the level of local and Central authorities. 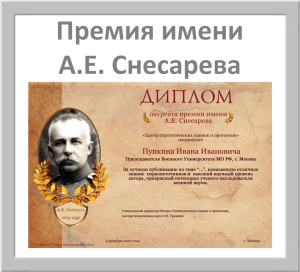 ZT was a complex, multilevel social relations to analyze the behavior of public servants. Which in turn allowed to determine the real state of Affairs in the sphere of implementation of their duties. 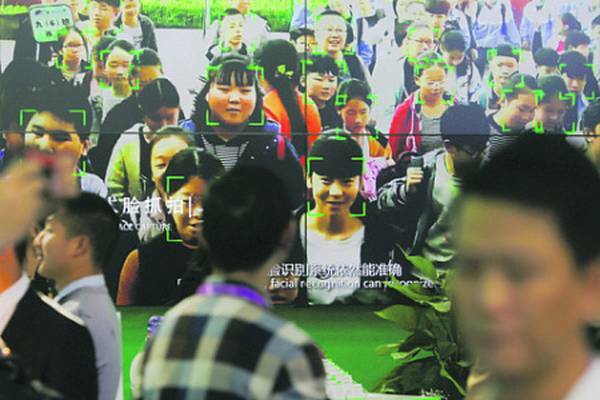 In seven years of operation in several cities and provinces of China this system is "kept under surveillance" about 500 thousand civil servants, or about 1% of the total number of officials of the PRC. And during the same period – was accused of abuse of office, incompetence, corruption 8721 of their "supervised". And here on the eve of this Chinese New year, which begins on 5 February, the authorities announced the curtailment of ZT. A number of observers immediately hastened to declare that the reason for this step was that the ZT is too good to catch corrupt officials, and they did everything possible to make this "all seeing eye" blind. But the reality, as it often happens, was somewhat different. First of all, the rumors of sverheffektivnye system in the fight against corruption has been somewhat exaggerated. If during the period of its operation it showed that 1.74 per cent of municipal and provincial "werewolves in ties" of the total number of controlled troops, then throughout China during the same period, the old, low-tech or manual methods such found and brought to justice 2.9% of the total number of Chinese officials. But most importantly, what they say in informal conversations, worked with ZT professionals can quickly point to a corrupt official, but not very well explain how those conclusions on the basis of which came to this conclusion. That is, in many cases the system does not provide the facts which will be sufficient to prove criminal intent, prosecution and sentencing. An indirect confirmation of this can be considered that only about 5% of civil servants recognized Zero Trust guilty of abuse of office and corruption, was then pursued in court. The rest received warnings and a disciplinary sanction. "Although in most cases the system correctly indicates that abuse, you still need human involvement to further gather evidence to determine whether criminal intent, the culpability of the officer and bringing him to justice or disciplinary responsibility, – recognize the Chinese experts. – ZT needs major improvement". In the history of the Zero Trust, the most significant is the fact that no one is going to collapse. We are talking about modernization and elimination of the revealed shortcomings. Moreover, the logic of this system of programs is now being actively implemented more widely, in the police, courts, banking and insurance companies. AI comes in the foreign policy of China. Similar to the ZT program has been introduced at the Ministry of foreign Affairs of China, where it is quite successfully used for risk assessment and decision making for large investment projects China abroad. That is, the leadership of China will continue the active implementation based on AI methods of government 2.0. And will do so quite flexibly, operatively reacting and eliminating identified in the course of practical implementation of these systems deficiencies. The United States quickly estimate the benefits received and will receive from China. And ran after him. Donald trump has already signed the decree to start his own party in the field AI – "Basic directions of American initiatives in the field of artificial intelligence", prepared by the Office for policy in science and technology. However, the Chinese Strategy this document is clearly not too vague, vague, with unclear financing. But what is more important is a new race for the leadership of a new humanity sector have already begun. And in its course will be determined what the specificity of public administration in the XXI century will be more viable. While ahead of China.